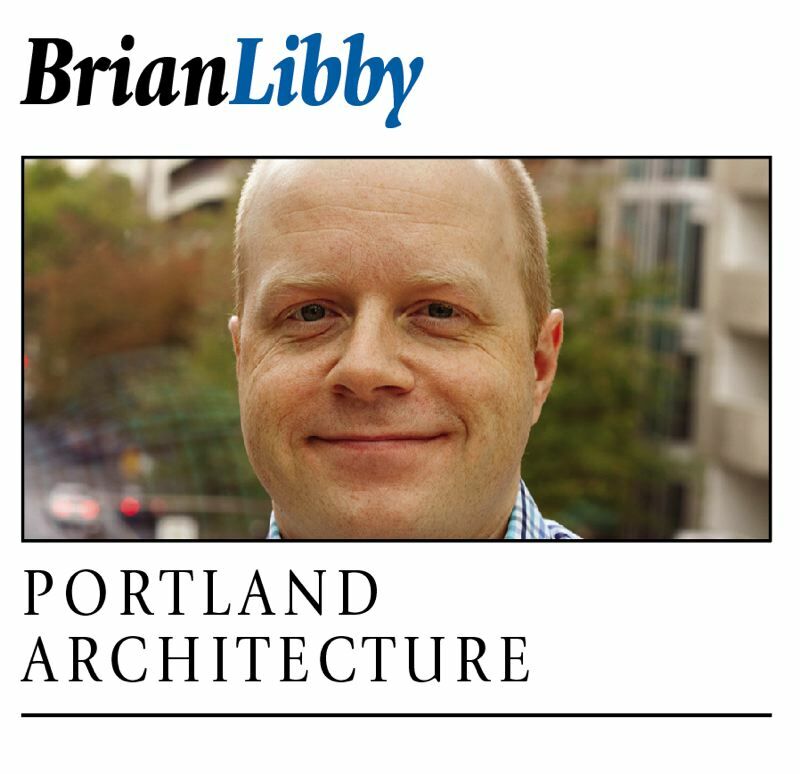 The Silica on Williams Avenue marks a new chapter in an ongoing urban story in Portland. Few Portland streets have as dramatic a history as Williams Avenue, which forms the border between the city's North and Northeast quadrants as it stretches from the Rose Quarter through neighborhoods like Boise, Eliot and Humboldt. When a positive addition like The Silica building comes along, perhaps it's time to take stock. Named for George Henry Williams, a former Attorney General of the United States as well as a U.S. senator, Portland mayor and Oregon Supreme Court Justice, Williams Avenue was initially part of the separate town of Albina. After being incorporated into Portland, Williams saw Irish and Scandinavian immigrant communities give way to African Americans driven from other neighborhoods by institutionalized racism. As urban renewal set in during the mid-20th century, projects like Emanuel Hospital and Memorial Coliseum, however worthwhile, took the place of many families' homes. More recently, as the middle class has returned to inner cities, Williams has faced questions of gentrification. Longtime residents have been priced out but a wave of investment has made the avenue a citywide destination with great restaurants and livability. Because it's zoned for employment, buildings can go taller on Williams than some neighbors may like, prompting a valid conversation about how the city grows and densifies. It's also the busiest bike route in Portland, which is saying something. The architecture itself on Williams has been hit-and-miss. 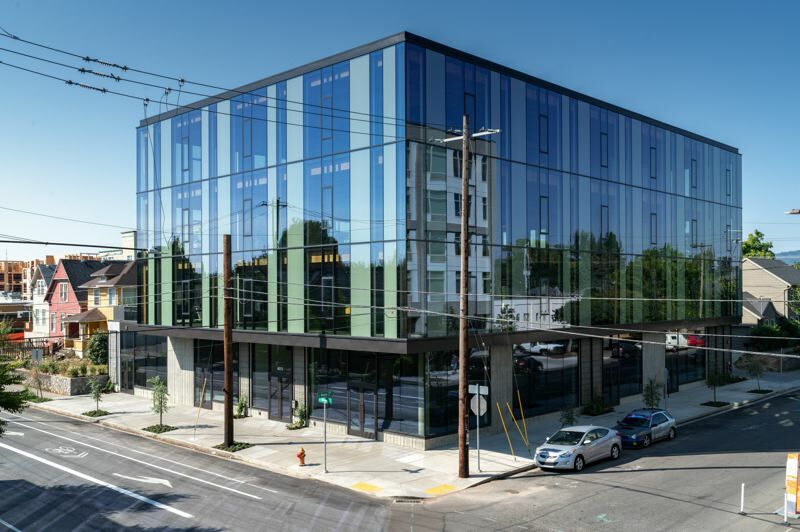 There have been beautiful buildings like Holst Architecture's One North and innovative ones Path Architecture's Carbon 12, currently the tallest mass-timber building in the country. But there have also been some behemoth-sized apartment buildings less easy on the eyes, like The Albert and The Peloton. Developed by Ruben J. Menashe Inc. and designed by William Kaven Architecture, The Silica is a better fit. It places three stories of leasable office space over ground-floor retail. 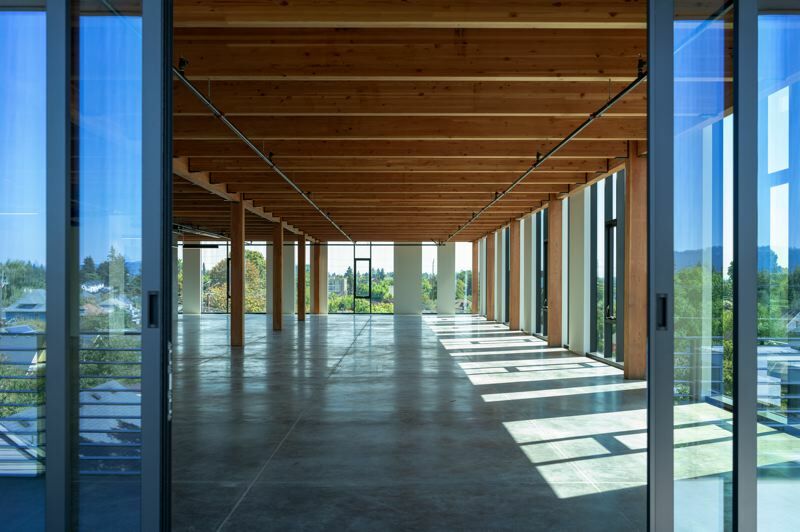 A concrete base gives way to timber framing above, the wood ceilings and columns revealed through a glass curtain wall. What's evident beyond the materials and forms, however, is that The Silica gets the details right. It's not a luxurious building — we're talking concrete floors here — but I suspect Menashe plans this as a long-term hold rather than just a commodity to build and sell. Its scale is just right for Williams: dense enough for the future, yet modest enough to be congruent with nearby houses. Yet rather than kowtow stylistically to old houses (a common mistake), its design is unapologetically contemporary: a gleaming glass box. Kaven and Menashe didn't just parachute into the neighborhood, either. The Silica is a return to this stretch of blocks for architect and developer alike. Some of Menashe's past projects don't meet The Silica's level of beauty, but at a time when out-of-town developers have been breeding cheap apartment and office buildings like rabbits, it's more than ever a time to look to locals for quality. Their buildings also feature almost exclusively Portland-based retailers on the ground floors, doubling the effect. The Silica won't eradicate some of the long-term socioeconomic concerns people have about the neighborhoods Williams Avenue traverses, but the building's commercial focus makes this increasingly a complete place where people can live, work and play. It's both a well-fitting part of the broader urban fabric and a standout little gem.